The second 170,000-cubic-meter ice-class liquefied natural gas (LNG) carrier provided by Teekay to the Yamal LNG project was delivered to the charterer in Sabetta, Russia, in September. The new ship, Rudolf Samoylovich, was delivered on September 6, nearly three months earlier than anticipated, at the request of the charterer. 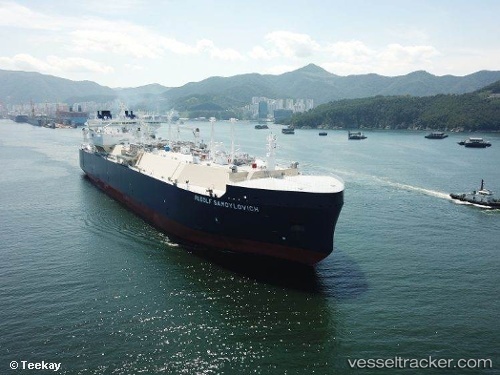 The vessel joins the Eduard Toll as the second of six Arc-7 LNG carriers that Teekay will provide to the Yamal LNG project by 2020.The vessel transited the Northern Sea Route after its delivery from the yard in Korea at the end of August. The Novatek-operated Yamal terminal in northern Russia has been ramping up quickly after loading its first LNG cargo in December 2017, with two trains now running at capacity and a third being commissioned.